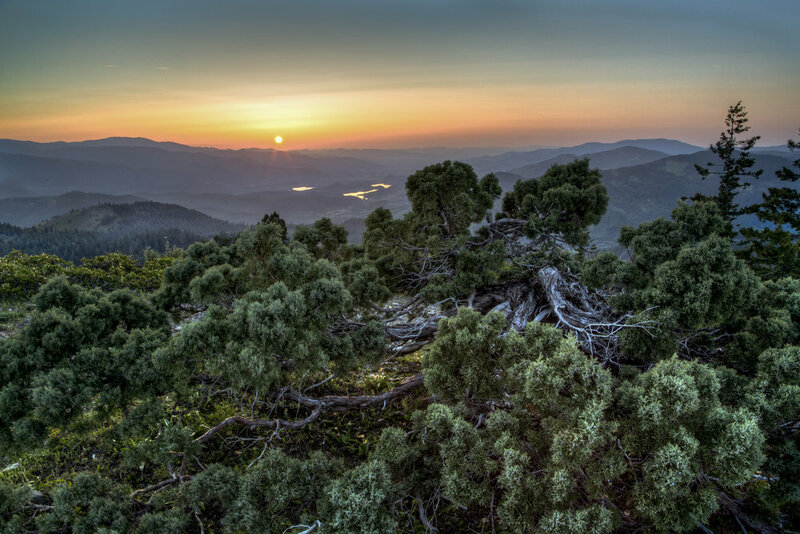 Sitting at the crossroads of juniper and sage, volcanic peaks, and the Pacific Northwest ancient forests, the Cascade-Siskiyou is the only National Monument designated principally to protect biodiversity. Established in 2000 along the Oregon and California border, the monument was expanded by President Obama in January 2017. Despite overwhelming support from local communities, protection for the Cascade-Siskiyou came into question within a few months of President Trump taking office. In April 2017, the administration initiated an unprecedented review of 27 National Monuments, including the Cascade-Siskiyou. Not all Hope is lost! Senators Wyden and Merkley are still standing strong and fighting to protect Cascade-Siskiyou. BACKGROUND of the National Monument "review:" On August 2017, Secretary Zinke submitted a secret report to President Trump with recommendations to slash protections National Monuments. This could unravel decades of public land and water conservation potentially opening up sensitive public lands to logging, mining, and drilling. Zinke's report recommends boundary reductions for Cascade-Siskiyou National Monument, though specific details remain unavailable to the public. In December 2017, President Trump signed two "anti-"proclamations authorizing the largest removal of public lands protections in history. His crass and illegal move to gut protections for the Bears Ears and Grand Staircase-Escalante National Monuments in Utah opening up close to 85% of the protected wildlife habitat, public wildlands, archaeological resources, and Native American cultural treasures to destructive development. Tribes, conservation groups, and other have sued over the Trump anti-monument proclamations. During the comment period, 9 of every 10 people spoke up in favor of keeping the protections for the Cascade-Siskiyou National Monument. Over 200,000 total comments were submitted. This was one of the largest responses in history. Local residents have fought together for over 20 years to protect their important public lands. We are not giving up now! Supportive comments to Zinke were received from Oregon Governor Kate Brown, U.S. Senators Jeff Merkley and Ron Wyden, U.S. Representatives Earl Blumenauer and Suzanne Bonamici, 32 state representatives and senators, mayors of the two closest towns, 220 scientists, dozens of local businesses, myriad local landowners, local tribes, and sportsmen who hunt and fish in the monument asking for protection of the area. If acted on, thousands of acres of public lands protected as the only U.S National Monument to biological diversity will be sold out. KS Wild continues to work with the Soda Mountain Wilderness Council and others to elevate the community's voice and resist the Trump's Administration attacks on public lands. Please consider donating to KS Wild's Wildlands Defense Fund to support our efforts. Thank you for standing with us! Do you really love the Cascade-Siskiyou?. Share your love for our Monument, ask your Senators and Congress members to keep supporting the Monument, write a letter to the editor or share posts on your social media.